On Sunday in Paris hotel room, Kim Kardashian was caught up by masked men, according to reports. Kim is along her mother Kris Jenner and sisters Kendall Jenner and Kourtney Kardashian while visiting France for Paris Fashion Week. It was told that two armed masked men, dressed as police officers, caught up Kim Kardashian at evening in her Paris hotel room. She was physically unharmed but she is mentally disturbed. 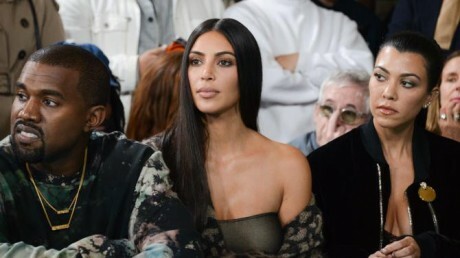 On Sunday, her husband rapper Kenye West left his Meadow Festival in New York and he told the audience that he had to leave due to family emergency. As per update, robbers taken her Jewelry box, which has jewelry of 11 million USD.